Pepper is a brand new integrated marketing, public relations and social media consultancy in the city of Bath. 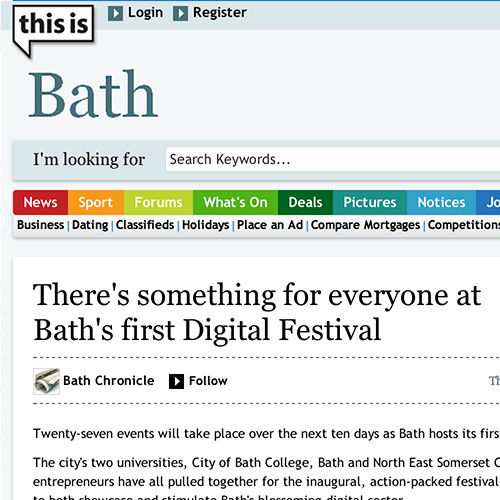 Building brand awareness and community engagement for Bath’s very first Digital Festival. This year Pepper took a leading role in Bath’s second Digital Festival, co-organising the whole ten-day Festival and individually coordinating a number of the 25 events that took place. In its second year the Festival was even bigger and better, and involved more people from the non-digital community, introducing them to new technologies and ideas. Pepper secured extensive regional and national press coverage for the Festival, and through working with local production teams a number of well received film pieces were created from some of the events. Over 3500 people participated in the Festival this year. with thousands of tweets recorded using the Festival hashtag, and a huge increase in engagement with events on last year’s inaugural event. There has been excellent feedback and we’re really looking forward to 2014! 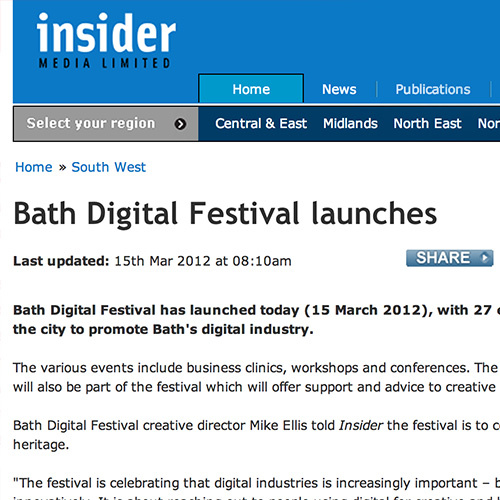 "I've worked with Pepper on a number of projects including the inaugural Bath Digital Festival. Katrina has been a hugely valuable person to have around - innovative and imaginative, and she knows PR inside-out. I wouldn't hesitate to recommend her." We'd love to hear from you! If you have a new project you'd like to discuss with us, fill out our contact form and you'll hear from us shortly. Alternatively, you can contact us via email or telephone below. © Pepper PR & Marketing 2014 — 2019. All rights reserved. 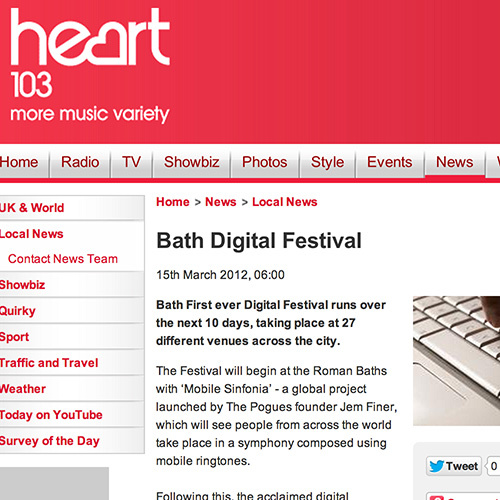 Website by Storm - Web Design Bath.